While logic analyzers may be originally known for parallel system debugging with wide data buses, the last decade has seen their usage shifting to serial protocol applications, involving less signal lines, like I2C, SPI or UART. 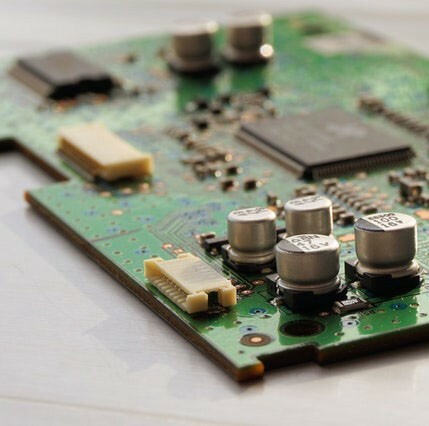 In this article, we’re going to go through the process of embedded system development and see how logic analyzers can be used to speed up product development, and ultimately, time to market. A PCB is always beautiful until you start developing embedded firmware! Use protocol decoder feature to make sure address written in your code matches the address of the I2C slave device, and make changes in code if necessary. Ensure slave device acknowledges master requests. After a system passes this first “sanity check” phase, a logic analyzer can still be a vital development tool. ScanaStudio logic analyzer software is designed to accompany embedded system developers in that second phase of a project, that is, when the low (physical) layers of a communication protocol are proven to be functional, but the top level, user application, needs development and — eventually — debugging. In this phase, one needs to be able to look at data transported through a communication protocol from various angles and with different levels of abstraction. A descent logic analyzer software lets a programmer look at high level transactions, and still easily track a specific bit or byte all the way down to the logic signals beneath it. Even if more and more systems are shipped with firmware upgrade feature, I personally know the feeling you have when your code is being burned into thousands of chips that will travel around the globe. It’s stressful and the best thing you can do is to thoroughly test your code. But how? Again, logic analyzer can be used for that purpose. Let’s use the same I2C bus example and see how one can use ScanaQuad Logic Analyzer to monitor an I2C bus for a very long period (hours or days), searching for any signs of failures. First, you’ll need to identify what’s the normal behavior of your bus, and what isn’t. An abnormal behavior can be as simple as an address not being acknowledged or a data that read all ones (0xFF). Hit “Start” in ScanaStudio software, and get yourself a cup of coffee or some fresh air! As soon as the bug is detected, it will trigger a capture sequence, and you’ll be able to analyze the bug and hopefully fix it. ScanaQuad Logic Analyzer lets you trigger on sophisticated events like a specific I2C packet. In conclusion, this article shows how a logic analyzer — along with the good practice of talented developers — can lead to quicker and more robust embedded product development.